Join us on May 4 for the 13th Annual Green River Spring Bash block party at Green River Adventures in downtown Saluda! Festivities start at 5 p.m. and the event is free and open to the public. We’ll have great beer from Oskar Blues Brewing and live music from The Aaron Burdett Band. There will be a charity raffle where one lucky person will win a LiquidLogic Remix XP 10 kayak valued at $1,000.00. 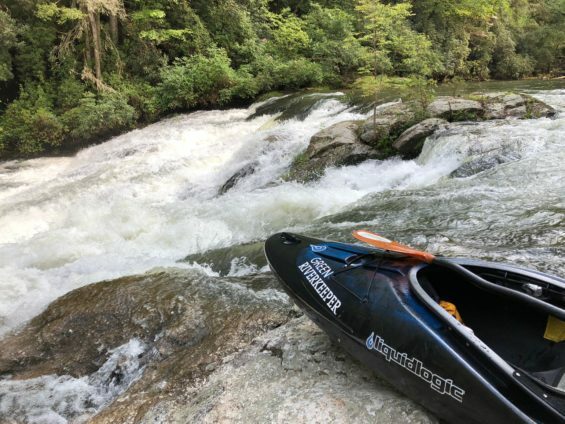 Proceeds from the raffle benefit MountainTrue’s Green Riverkeeper – the protector and defender of the Green River Watershed. Purchase raffle tickets online at here or at the party. You do not need to be present to win.